Thursdays are Student Salon Day; this is when clients come into the school to get treatments done by our student therapists for a discounted price. The purpose of this day is for the students to practice their knowledge and skill with the different treatments they have been taught. This gives our students better experience and knowledge of many different skin types, body types, ages, and ethnicities, making them industry ready by graduation. CIBTAC and CIDESCO require that you have salon experience to show that you are able to work to professional timings and completing a variety of treatments. You will only begin to work on clients after 3 months of practical and theory work in class. Until then, Thursday is your day to go over what you didn’t understand the lessons taught that week either theory or practical. CIBTAC Aesthetics 7 months: Monday & Tuesday 9:30 am-4:45 pm for the first 3 months approx and then after 3 months you will be required to attend 9:30-4:45 pm on Tuesdays and Thursdays 9:30-6:30/8pm for client day. CIBTAC Body Treatments 7 months: Wednesdays 9:30 am-4:45 pm and Thursdays 9:30-6:30/8pm for client day. CIDESCO 4 months approx: Monday & Tuesday 9:30 am-45 pm and Thursdays 9:30-6:30/8pm for client day. The on demand Reiki, Indian Head Massage, Hot Stone Therapy, Threading service is booming. Why not start your own company in this area Move into Sales and Marketing of Beauty products. 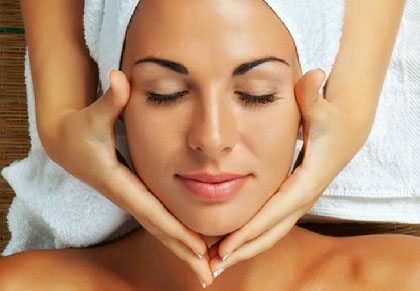 The job opportunities for a Beauty Therapist are as diverse as they are exciting. The choice really is yours. including all examination fees, study material, kits and uniform. Learn From The Best – Our principle is Director and Chairwoman of the CIDESCO GB School and ex-Vice president of CIDESCO International. Higher Level Pass Rate – Our Principal is a CIDESCO and CIBTAC Senior Examiner and understands what it takes to excel. More Employable – Graduate from a prestigious school plus our exclusive Advanced Aesthetic Module gives you a commercial edge.